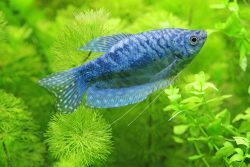 If you are a beginner in the world of fishkeeping, and you are wondering, “Where do I even start?” – fear not, many a hobbyist (who started off just as clueless as any beginner) has mustered up the will to create and support a beautiful aquatic display to enhance the visual appearance of a living space. It is understandable that you might be a little overwhelmed at first, with the limitless access to information out there, and countless opinions that all differ from one another, it is very hard to determine where the best place to start is. The good news is that you have nothing to worry about; there is a reason why 13.6 million homes in the U.S. keep beautiful aquatic displays filled with happy fish, and you can do it with one of the 3 gallon aquariums. The great thing about starting your fishkeeping hobby with a 3 gallon fish tank is that you don’t have to break the bank to do so, and maintaining a habitable environment for your fish is very manageable with such a small tank. There are many great options for 3 gallon tanks, such as fish tank starter kits and aquarium starter kits that will ensure that you have everything you need to facilitate a safe and healthy environment for your finned friends without draining your wallet. 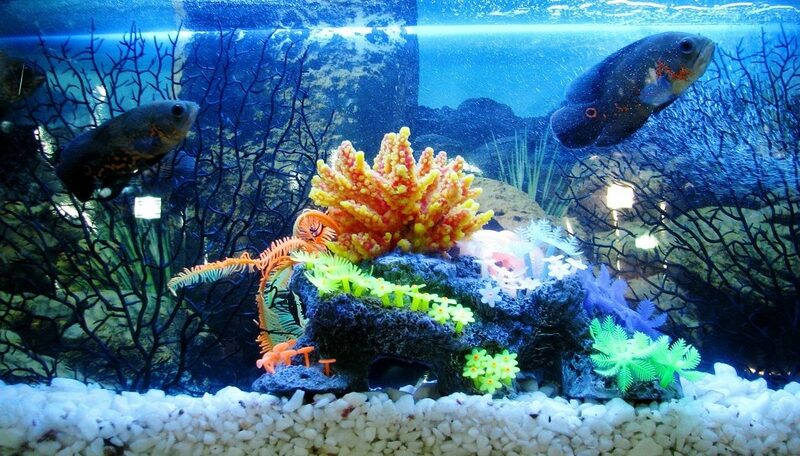 Another thing to consider is whether you want to have a freshwater fish tank, or a saltwater fish tank. If price is one of your main concerns, then a freshwater aquarium would probably meet your needs, as saltwater aquarium set ups can tend to be more expensive and tougher to maintain. 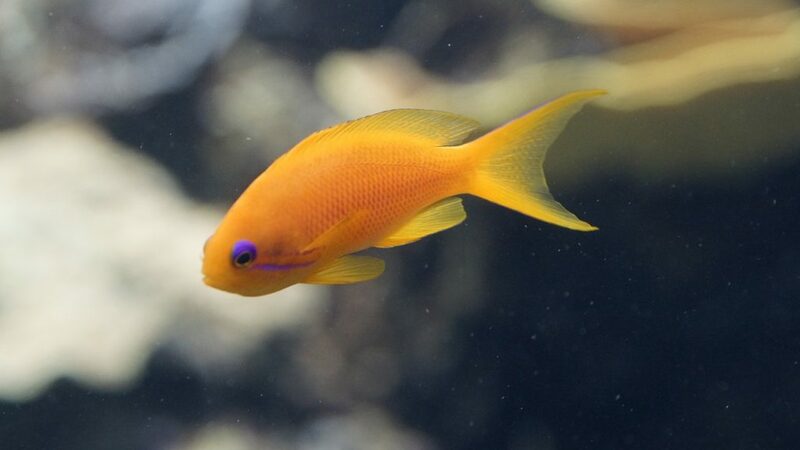 When deciding what freshwater fish or saltwater fish you will keep in your 3 gallon fish tank, you might ask yourself how many fish fit in a 3 gallon tank, and to answer that it is good to use as a rule of thumb that one inch of fish can be safely supported by one gallon of water. Therefore, the best fish options for 3 gallon freshwater aquariums are a single male betta fish, or groups of dwarf fish such as Ember Tetra or Dario Dario. Because of the betta’s territorial nature, these aquariums make ideal betta homes. After you have purchased your 3 gallon aquarium, there are a couple important details to remember when placing your tank in your home: place on a flat surface that is secure and can support the tank weight, keep in a low traffic location so as not to increase the chances of the tank being bumped or broken, and keep away from vents, windows or doors because variability in temperature can be detrimental to your fishes’ health. 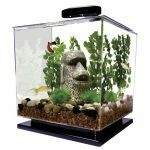 Now that you are ready to support your fish, we have made it easy for you to decide which of the 3 gallon aquariums to purchase by ranking some of the most popular. Sitting atop our ranking of 3 gallon fish tanks, this 3 gallon glass fish tank and aquarium kit that embodies the perfect intersection of tasteful design and appearance, user-friendly set up and maintenance, and advanced 3 stage filtration system that will provide a healthy and happy ecosystem for your fish. 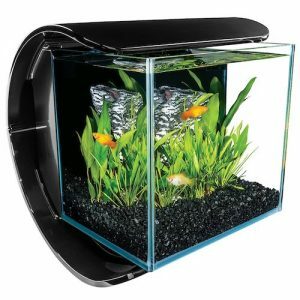 If you are looking for the complete package that will take care of all basic needs for your habitat and more, then look no further than the Marineland Contour Glass Aquarium Kit. Some specs worth noting are its symmetrical design coming in at 12 x 12 x 12.5 inches, and its lightweight frame at 10.5 pounds. Cleaning this tank will be a walk in the park, and with both blue and white LED light systems that can be changed by the flick of a switch your aquatic environment will be looking great day or night. Accessibility is no doubt a convenience with this tank. Having just a glass sliding door sitting atop the tank makes it easy to look straight down into the tank to check on your lovely little friends. Also, with the lights hanging a good bit above the tank, there is plenty of room to access the inside of the aquarium. Forget fumbling with large bulky covers, lights, wires, and filtration systems, you can get in to your habitat with no hassle. Something to keep in mind when purchasing this tank is that the back drop is black, which can make the inside of your tank seem a bit darker than normal. If you really want to enhance your visual experience with this aquarium consider using white gravel opposed to anything dark in color. You will find this contrast between the tank floor and back wall to be visually stimulating, making the environment come alive with color. Second on our list is the TetraCube Aquarium kit. If you are looking for an affordable, reliable, and simple no frills option then look no further than this great little fish tank for sale. With a frame that is 10.5 x 10 x 10 inches, this basic tank will suit any small living space making it a perfect fit for dorm rooms, and office spaces. Cleaning and maintenance will no problem with this little aquarium. The clear plastic casing not only makes this tank super lightweight at 5.5 pounds, but allows for a perfect panoramic view of your fish from every angle. Though a plastic tank may not be as glamorous as a glass tank, an inherent advantage is that your tank will be safe from shattering and cracking which can save you a lot of headache. If an affordable and reliable home for your small tropical fish, goldfish or betta is what you are looking for, then you cannot beat the bang for your buck that comes with this little package. Something to consider when buying this tank is that the filter is a little weak, and you may have to clean your tank a little more than usual to maintain a clean environment. As an alternative, it would be advantageous to purchase a separate filter. Though not specifically a 3 gallon fish tank filter, the Aqueon Quiet Flow 3 gallon fish tank filter will provide more than enough filtration power to keep your tank clean. Be careful though to orient the filter towards the outside of the tank so that it does not put uncomfortable stress on your fish. With much of the same qualities as the Marineland Contour, this 3 gallon fish tank is a great starter aquarium that has everything you need to get started. Equipped with the 3 stage adjustable flow filtration system, you can be assured that this habitat will remain clean for weeks at a time. 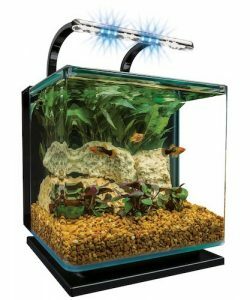 The blue and white LED light system will allow you to see your fish and perfect light day or night. The roof is hinged, and allows for easy access to the inside of the tank. This tank is a great second option if you are interested in the contour, but want to save a few extra bucks. Offering almost all of the same benefits while costing a little less, this tank is a great value. Similar to the contour, one of the issues with this tank is its black backdrop will make the interior appear darker than normal. An easy way to remedy this problem is to purchase white gravel to brighten things up a bit. Also, with dimensions of 14.1 x 13.6 x 12.2 inches, this aquarium is a bit more clunky and obtuse than the other options; so keep in mind that it will take up a little more space. Simple and effective, this tank is another perfect fit for dorm rooms and small office spaces. If no hassle, and simplicity are qualities that you seek in your starter fish tank, then this will be a great fit for you. This filter is exceptionally strong for a 3 gallon aquarium, and will surely provide a healthy and clean environment for your fish. The sleek and stylish circular design will jazz up any room, and with relatively narrow width will fit on a desktop or counter. One thing to consider when cleaning this tank is to stay away from any abrasive sponges or brushes for the acrylic is more prone to scratching than plastic or glass. Also be mindful that the filter is particularly strong for a 3 gallon tank, and should be positioned so that it will not harm the fish. This kit has almost everything you need to get started. To really take advantage of the blue lights that this aquarium is equipped with, add GloFish gravel and GloFish ornaments. These specifically designed products will glow bright and provide a groovy and unique appearance to your tank. 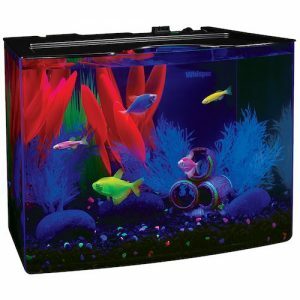 Perfect habitat for GloFish fish which are genetically modified to glow under the blue LEDs, and provide an exotic extraterrestrial look that will surely peak the interest of any young child. Be wary of this filter. 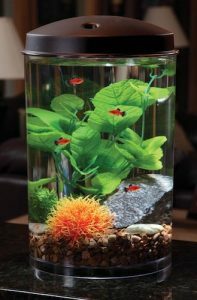 This 3 gallon tank is made for smaller fish, and they may be at risk of being sucked away to a tragic death. Also, light and filter use separate plugs, so need two spaces in your outlet to serve this tank alone. With its low cost, this tank can be a good for any beginner. It is extremely lightweight and includes a bedazzling bubble show. If you are looking to learn and experience fishkeeping for the first time, this is an option. However, it has some major flaws. If long lasting quality that will ensure the care and protection of your fish friend is what you are looking for, then steer clear of this aquarium. This tank might be worth it if you are looking for a cheap fish tank home for a single betta fish, but if you are looking for a long-term home than we advise a more reliable 3 gallon aquarium. Unfortunately, if you purchase this aquarium kit, you will need to also purchase a few other items. You will need to get some gravel, some water conditioner, and unless you have a betta in a temperature-controlled environment, you will most likely need a heater as well. Though there are many factors to consider when getting a new home for your friendly fish, finding the right tank does not have to be a burden. If you follow some of the advice we offer, and pick a reliable tank within your budget you will have more than you need to get a good start with your new hobby. 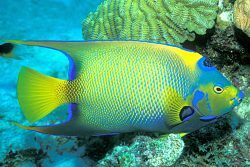 Providing a healthy environment for your fish has less to do with which tank you get, but rather the attention and care you provide. Make sure you do your research on the species of fish you have, know their tendencies. How do I know if my fish is healthy? What temperature should I maintain for the right environment? Is my tank big enough for the fish I have? What are signs that my fish is happy and in good health? If you do the research, ask the right questions, and pay close attention to your pet; taking care of your fish will be second nature, and you will have happy and healthy finned friends. We hope this buyers guide provided you with everything you need to make an informed decision. Please let us know in the comments if you have any questions or experience with one of the aquariums listed.